Reports state that during production, the new iPhone production, the company has been in trouble, and the general public is finding out more information about the newest iPhone due to the reports. This is a double hit for Apple, Inc., as it is once again in discussion with China Labor Watch and the media has gained information about the new phones that are going to be released. Rumors surrounding the newest iPhone have circulated for the past year, but reports confirm that Apple is in production of its new "plastic" iPhone that is supposed to be cheaper. It is supposed to be known as the iPhone 5C and will come in many different colors, according to reports. Unfortunately, the information was leaked through reports by China Labor Watch, a New York organization that is dedicated to making sure companies follow legal and ethical labor requirements when production of goods is moved to China. The company says it discovered 86 different labor violations in factories that are producing the new iPhone. Apple is not directly at fault, though. 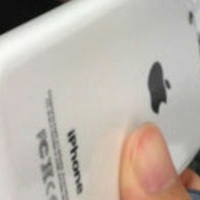 Pegatron is the company that actually manufactures the iPhones for Apple. This is the company that has the factories in production of iPhones responsible for the numerous labor violations. According to reports, Pegatron is only paying its employees an amount that averages out to only about $1.50 an hour, which is a clear violation of labor laws. Apple has denied the claim according to its own reports, stating that the workers are working far less than is stated in the reports by China Labor Watch, but the labor company insists that upon investigation into the factories, the employees are working over 66 hours per week for very little pay. Audits have shown that the employees are only working 46 hours per week on average. Apple has been in contact with China Labor Watch for some time and plans to address this new list of complaints as well as others that have been made about the welfare of the workers in the China Pegatron factories. They plan to have Pegatron reimburse any workers that are underpaid or denied proper compensation for the work that they have done. Pegatron also issued a statement saying that it will reimburse any of the workers at Chinese factories that have not been properly paid for the amount of time that they have worked. China Labor Watch will be in discussion with Apple and Pegatron regarding the investigations conducted and all of the violations, but everything is expected to be solved by both companies. The media leak, though, cannot be helped, and the new iPhone is set to be more affordable and plastic, as reports and rumors have both stated.